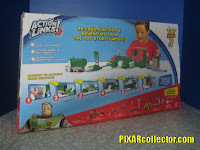 Mattel has released some great Action Links playsets! 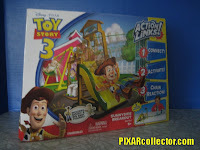 These stunt sets combine great elements and scenes from Toy Story 3 to let kids be part of the action! 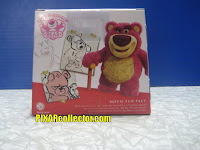 These products are a TON of fun and great for kids and collectors alike! You can buy these online on Amazon.com or in stores like Super Target and Toys 'R Us! 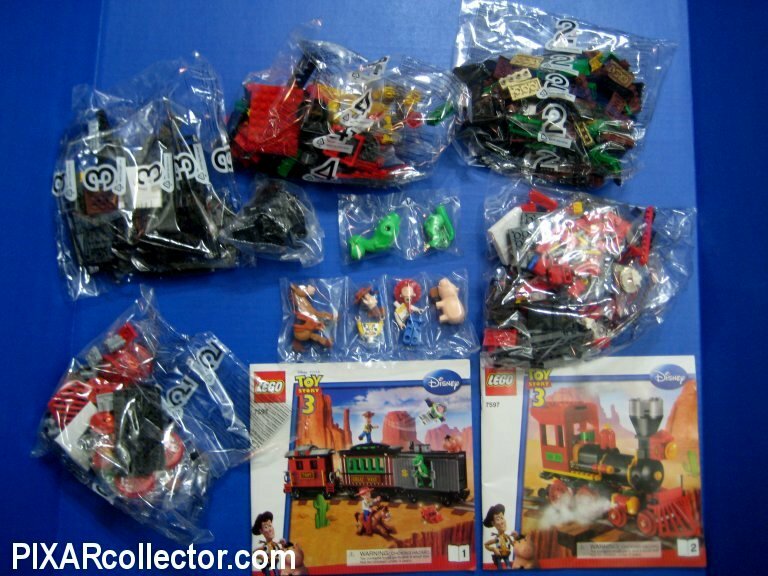 Today we're featuring the Junkyard Escape, Jessie to the Rescue and Sunnyside Breakout! 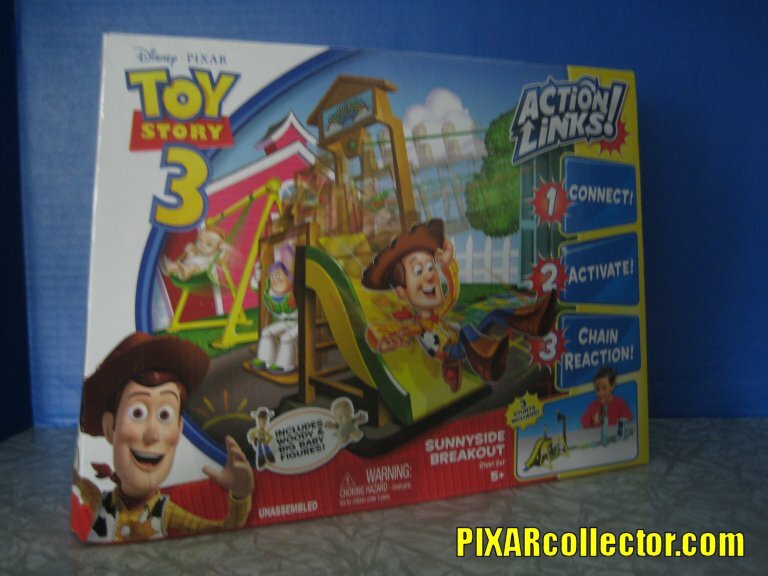 Mattel Toy Story 3 ACTION LINKSTM Sunnyside Breakout Stunt SetHelp your Toy Story 3 friends escape! 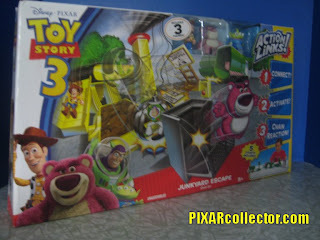 Take your favorite characters on a thrilling adventure straight out of the movie, Toy Story 3. Push out the bin, fly across the zip line to freedom and watch out for Big Baby as you slide down the slide to safety - each zany stunt triggers the next! 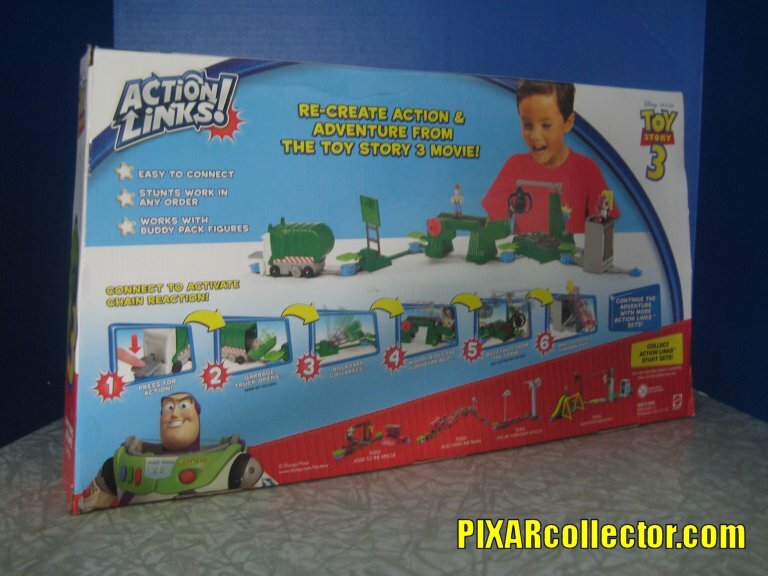 This set can be connected with other Action LinksTM Stunt Sets for worlds of movie-inspired fun. 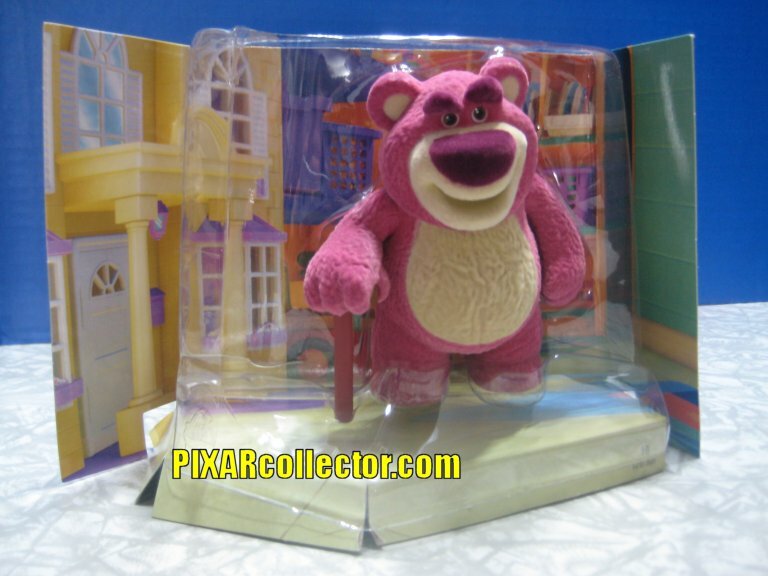 Includes 2 figures. 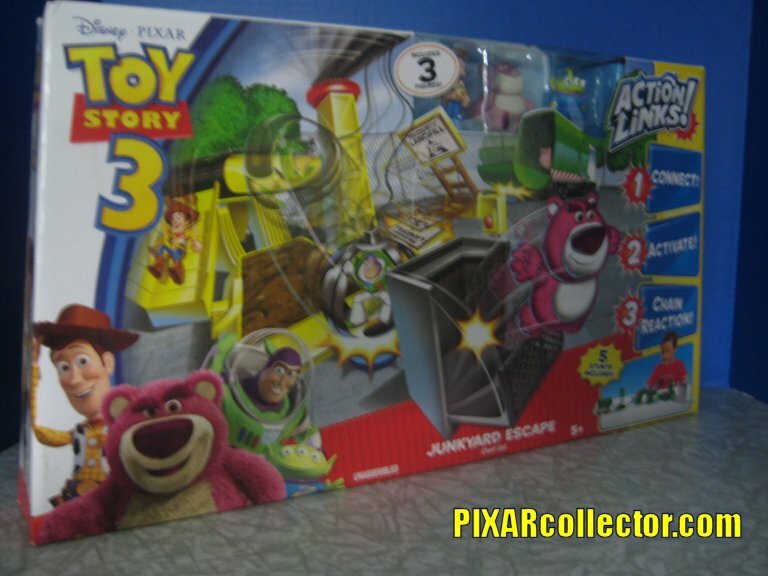 Toy Story 3 Action Links Junkyard Escape: Relive the final climactic scene in the Disney/Pixar film, Toy Story 3, with the ultimate play set. 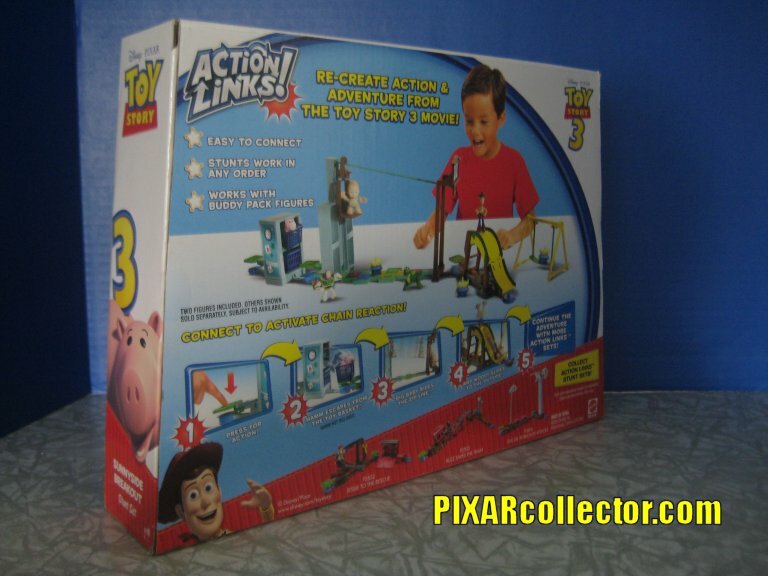 Featuring loads of action and adventure, this set includes great stunts like the conveyor belt and the claw! 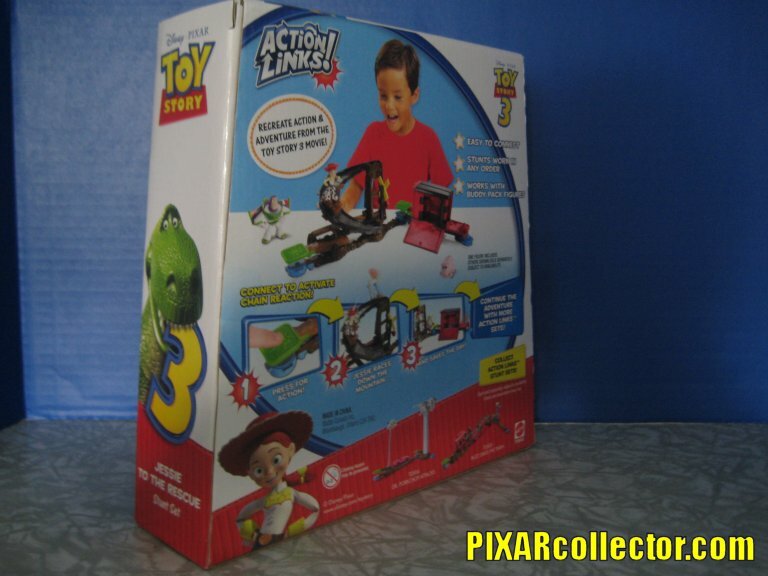 This assortment of 3 Action Links playsets give kids a variety of ways to take their Buddy Pack figures on a wild adventure. 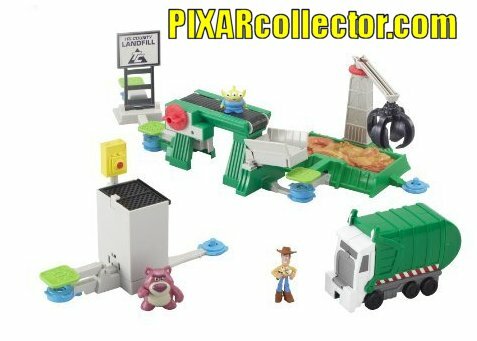 Each modular playset works completely on its own or can be reconfigured and combined with another playset to build an entire Toy Story world. 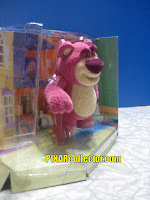 Each playset comes with one 2-inch figure. Whats great about these sets? 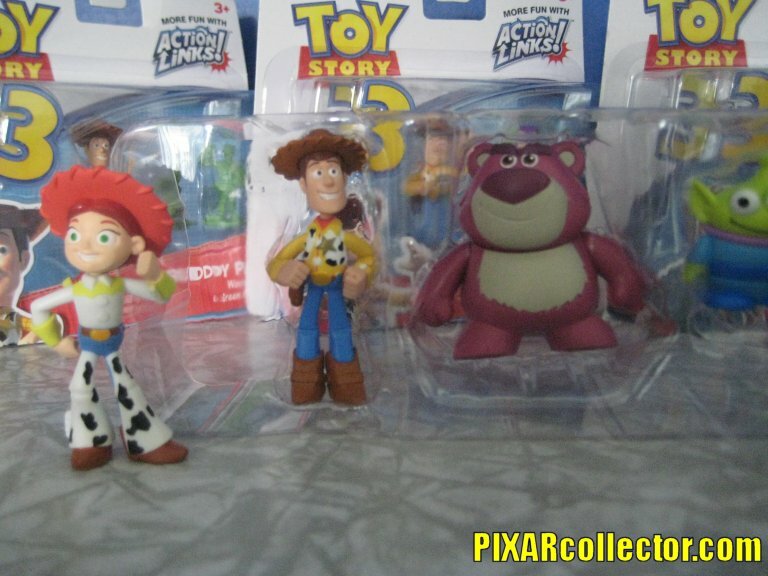 Well, firstly they come with packed-in Toy Story 3 buddy figures. This is a great bonus, since they are usually sold in the 2-packs for $8 or $9 in stores. The sets we're examining have some great buddies, like Lotso, Woody, Jessie, Alien and Big Baby! 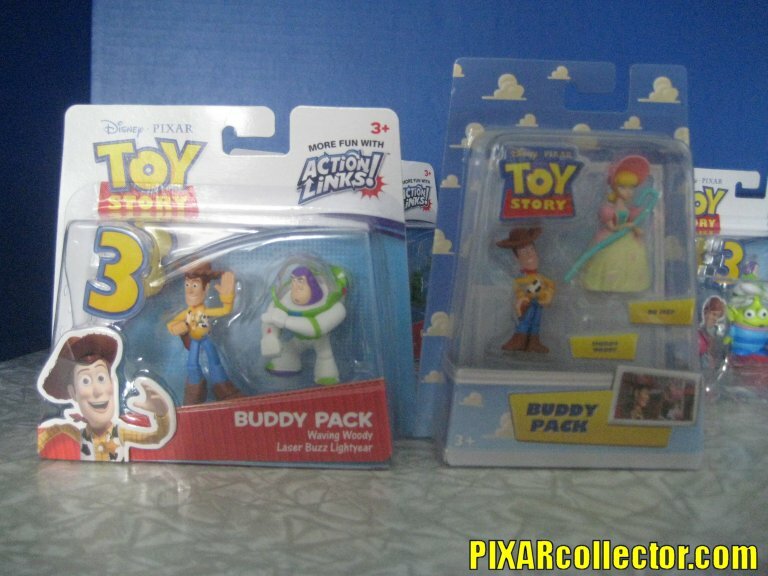 You can also see some examples of the great 2-packs below! A huge thank you to our friends at Mattel for these product samples and for making such a fun toyline! The Disney Store gave out one of these sets each week for five weeks with the purchase of a Toy Story item. They were rare and went fast! You can find them on ebay currently. 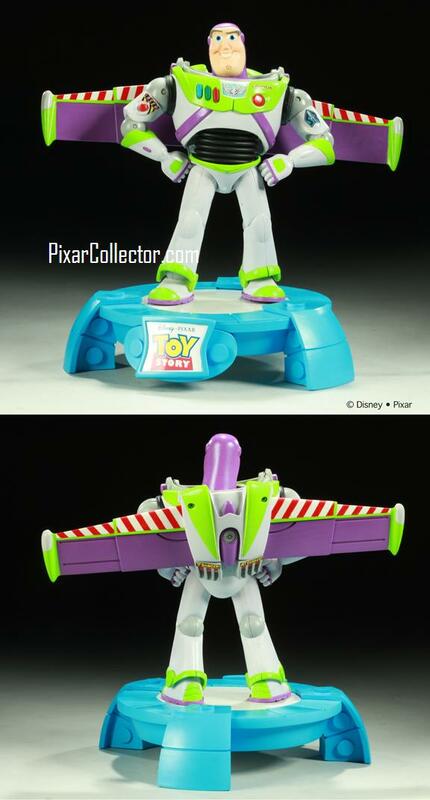 Electric Tiki Toy Story Statues to be Shown at SDCC! 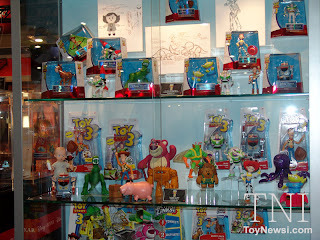 Electric Tiki will be showing their upcoming Toy Story statues at the San Diego Comic Con. 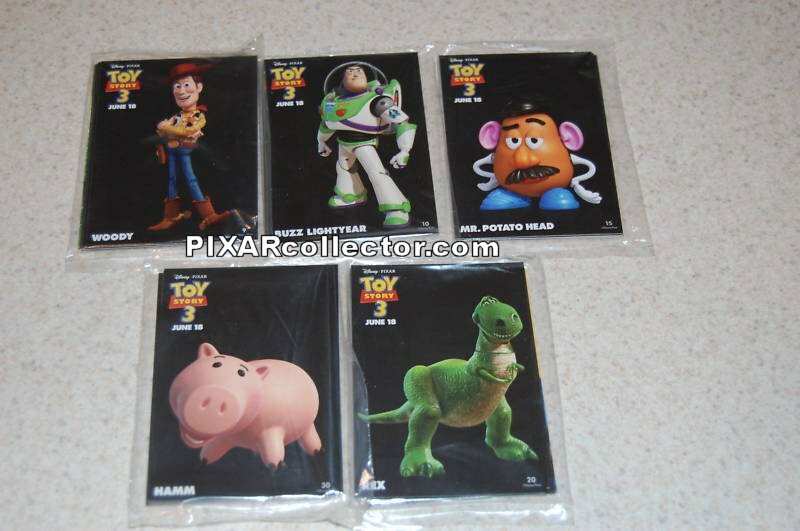 Pixar Collector has images to show you in advance! See above. 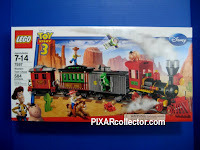 The Toy Story product from LEGO has been amazing so far, as was expected. We've spotlighted some of it here for you on PixarCollector.com over the past year. Now, we're going to start on their new Toy Story 3 product! 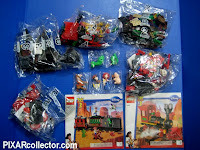 And yet again, LEGO delivers! 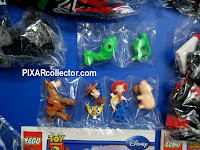 The set includes a Rex, Bullseye, Jessie, Woody and Evil Dr. Porkchop mini-figures. Those alone are worth the cost of the set! 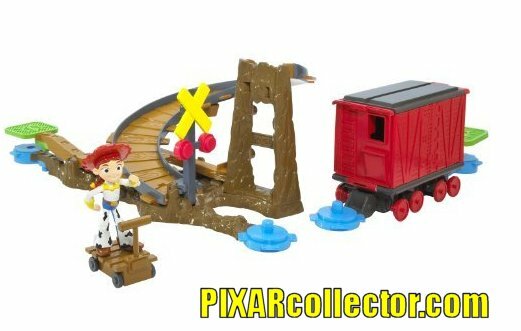 Re-creating the opening scene from Toy Story 3, this train set provides us with the duel collectible of a train and Toy Story! 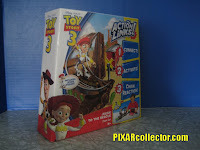 Its a win-win and a ton of fun for any child. 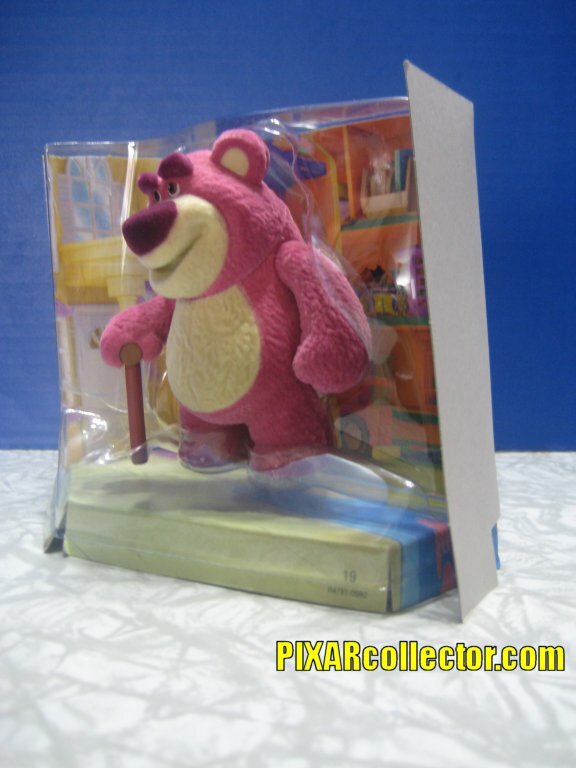 The adult collector will also delight with every ounce of this product! About the Book: Woody and Buzz are back! 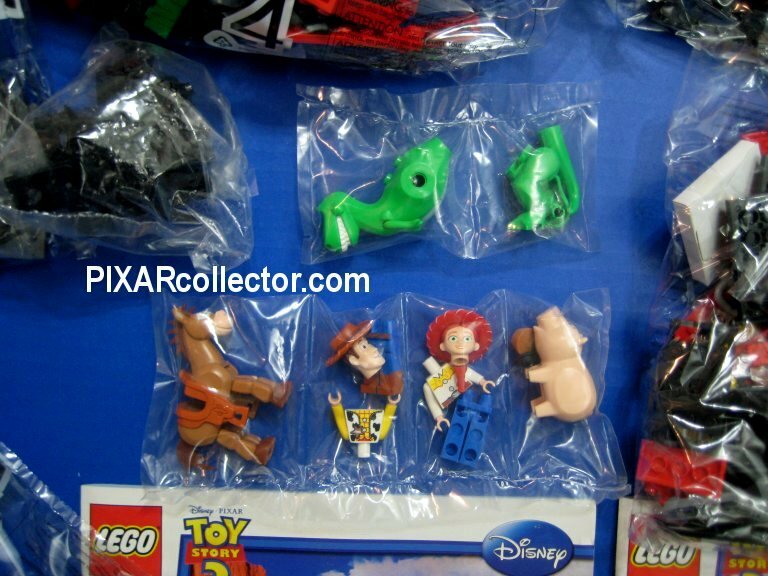 And so are all of your Toy Story favorites. Discover the world behind-the-scenes and the lives behind the toys in this ultimate guide of Pixar's first and most classic franchise - Toy Story. 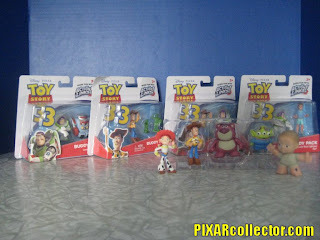 Toy Story 3 introduces new toys, new adventures, and new challenges to Andy's beloved animated friends. Get the inside scoop in this essential guide. 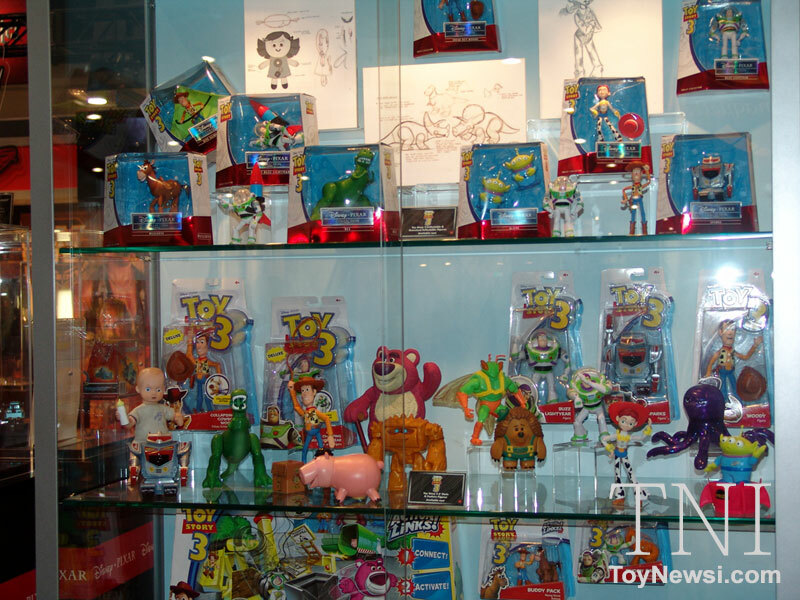 Our Take: We, like so many others, ventured off to the theaters this past weekend to see the new Toy Story 3. 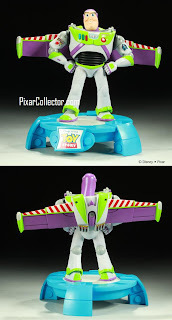 Its been 11 years since a Toy Story film was in the theaters. 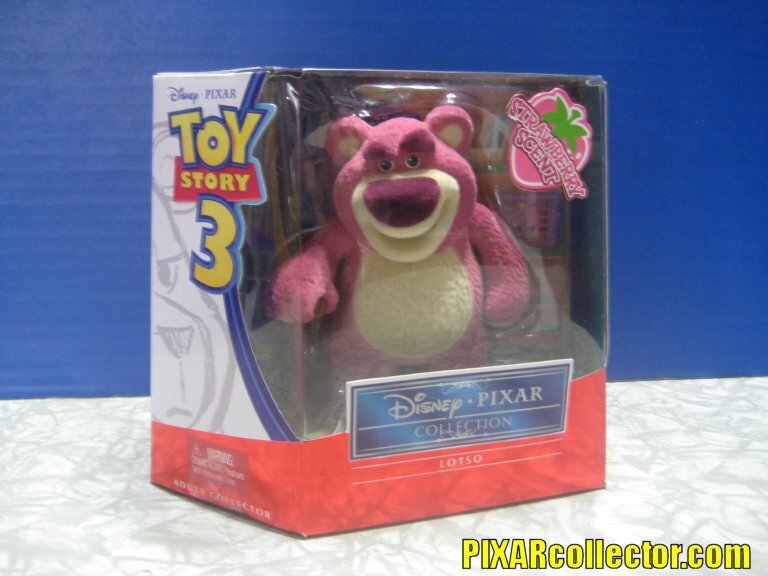 My wife and I saw toy Story 2 in the theater when we were newlyweds. This time we got to bring our 7 year, 6 year and 7 month olds with us! It was quite the treat. 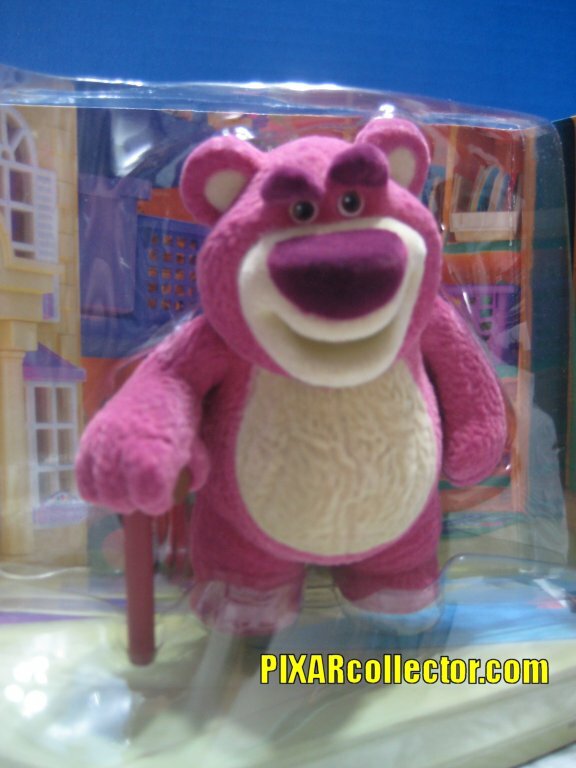 The film is beyond expectations and manages not only to be funny and charming, but quite the emotionally moving epic, as we see the aftermath of what happens to the toys when Andy grows up. 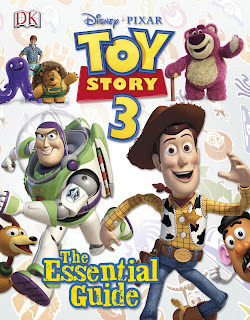 In honor of Toy Story 3, DK has released the essential guide to the movie. This hardcover book is a fantastic look inside the new film and characters. Beware that it's riddled with spoiler alerts about the plot, so if you haven't seen the film first, you should probably wait to crack this baby open. The book is filled with full-color images of the new and old characters, along with a ton of data on each one! Its a great read for kids or adult fans of the franchise. The price can't be beat, either! I definately recommend this one. About the Book: Woody and Buzz are back! 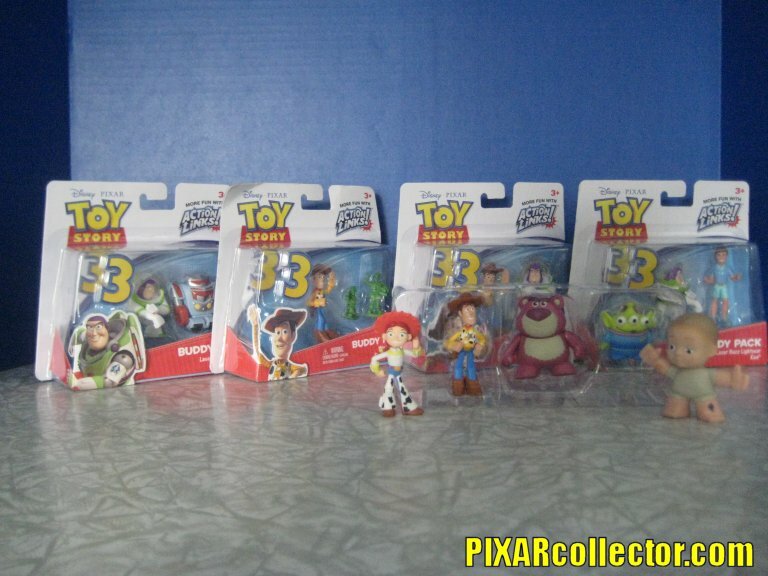 And so are all of your Toy Story favorites. 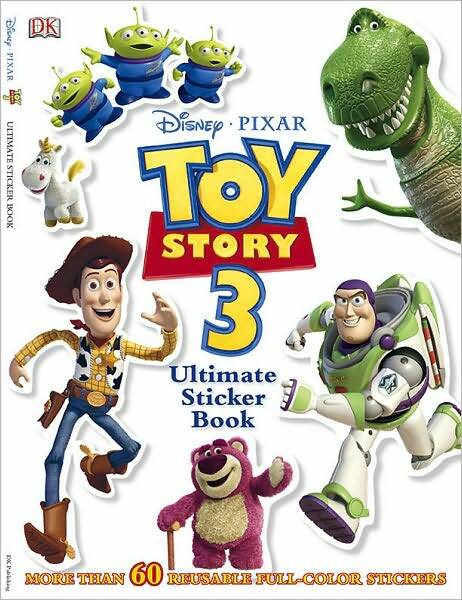 Discover the world behind-the-scenes and the lives behind the toys in this ultimate sticker book of Pixar's first and most classic franchise - Toy Story. 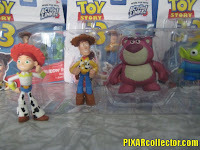 Andy is off to college, but what will become of his beloved toys? Collect and decorate with stickers from the newest movie in the Toy Story canon - Toy Story 3! 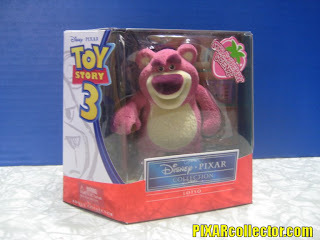 Our Take: Toy Story 3 is a HUGE hit. Big shocker, right? I think we all saw that one coming. 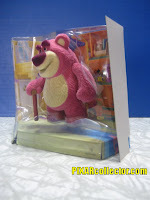 Along with a huge hit in the kids market comes a score of merchandise, especially books! The Toy Story 3 Ultimate Sticker Book from DK stands out as one of the best products for the money on the market right now. It includes both images from the film and drawings of the characters in sticker form and gives you tons of scenes to apply the stickers to. This one is great for kids or the adult collector!